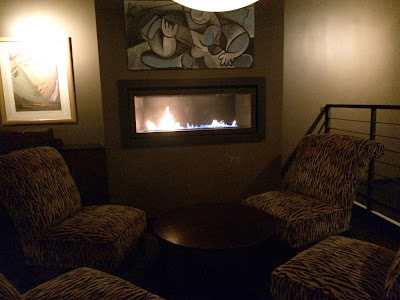 Since our weather suddenly got cold, I've been thinking about where I can eat or drink next to a warm fireplace— not a fire pit, fire feature, or heat lamp, but a bonafide fireplace. Nothing beats the warmth and light of a real flame while dining or sipping a beverage. Many of these are even real wood-burning fireplaces, so you get that great crackling sound. 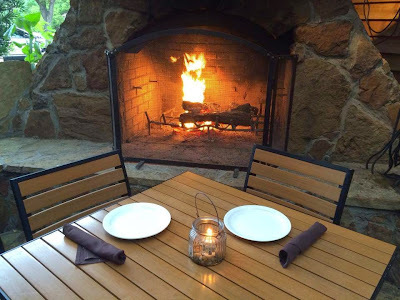 Roaring fireplaces also create the perfect ambiance for a romantic winter date night idea. I went around town in the 30º weather last night taking photos of a few of my favorite fireplaces. I was surprised by how few people were enjoying them, and that one was not even lit! The unlit fireplace still had a crowd of people around it, showing that a stone fireplace is a nice feature to gather around, even without a fire. 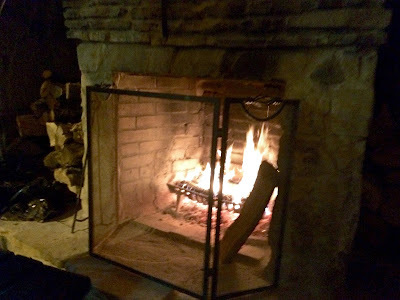 This is not a comprehensive list of every fireplace in Dallas; these are the restaurants and bars where I have enjoyed their fireplace atmosphere. I have grouped them by neighborhood. 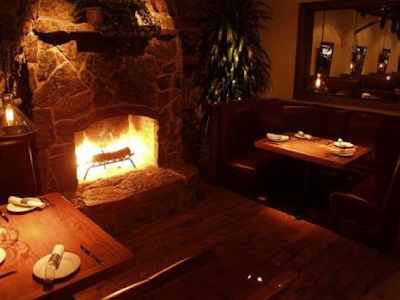 If you have a favorite fireplace restaurant in Dallas that isn't included here, please let me know in the comments, below. Now go get cozy! Hibiscus' Fireplace. Photo Credit: EventUp. 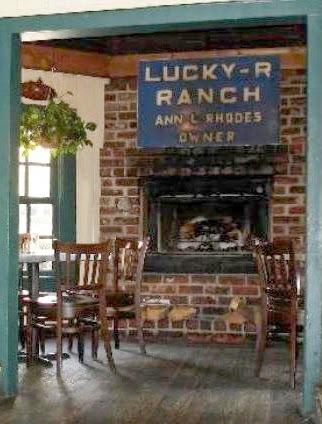 A fireplace sits in the front bar/waiting room with a few dimly-lit, intimate tables situated around the stone hearth. This room has the feel of an old mansion's drawing room, where men in suits are drinking Scotch and the only thing missing is cigars. 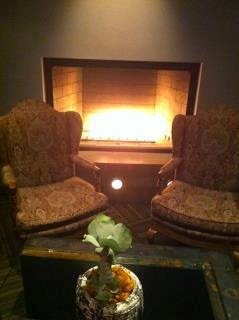 Fireside Pies' Fireplace. Photo Credit: Fireside Pies. One of the coziest, fully enclosed and heated outdoor patios in Dallas is also heated by a real, wood-burning fireplace. The patio is built around a giant tree, and the floor and ceiling is made of cedar wood. This gives the glorious smell and feeling that you've escaped to a wooden cabin in a Colorado pine forest. 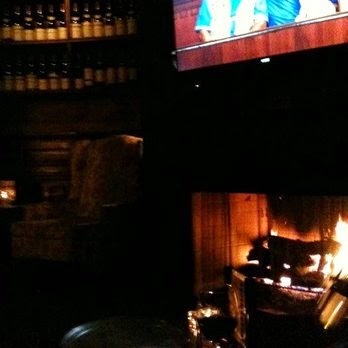 Capitol Pub's Fireplace. Photo Credit: Dallas Foodie. Many people drink here and do not seem to realize there is a large, wood-burning stone fireplace with a giant pile of firewood in the far, back corner of the side patio. There is only one table right in front of it. Get a table any further away, and you can't really feel the fireplace heat. The patio does have plastic wall enclosures and heat lamps elsewhere. Veritas' Fireplace. Photo Credit: Dallas Foodie. The front room has a fireplace surrounded by living room furniture and a coffee table. For some reason, the fire was not roaring on the cold night I took this photo. A glass of red wine will warm you up though. Don't miss the excellent cheeseboard, too. 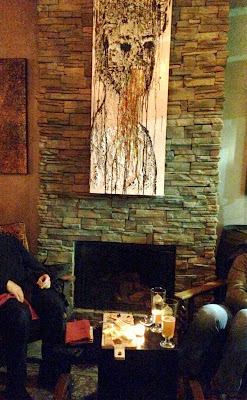 The Gin Mill's Fireplace. Photo Credit: Press Club of Dallas. The front room contains a wood-burning fireplace and huge pile of logs with several tables grouped around it. This means multiple people can sit close enough to enjoy the warmth. Next to the fireplace room is a not-fully-enclosed patio, so when they leave the patio doors open and the wind blows, you feel warm air on one side of your body and cold drafts on the other side. So long as they keep the patio doors closed, it's warm. Terilli's Fireplace. Photo Credit: Dallas Foodie. This dimly-lit restaurant features live piano music and Italian food. It has a gas-burning fireplace behind glass on the mezzanine loft level inside, and a fireplace on the rooftop bar outside. Inside, the fireplace is surrounded by four modern living room chairs around a coffee table. It's a gas fireplace, but the glass puts off noticeable heat for the two closest chairs. 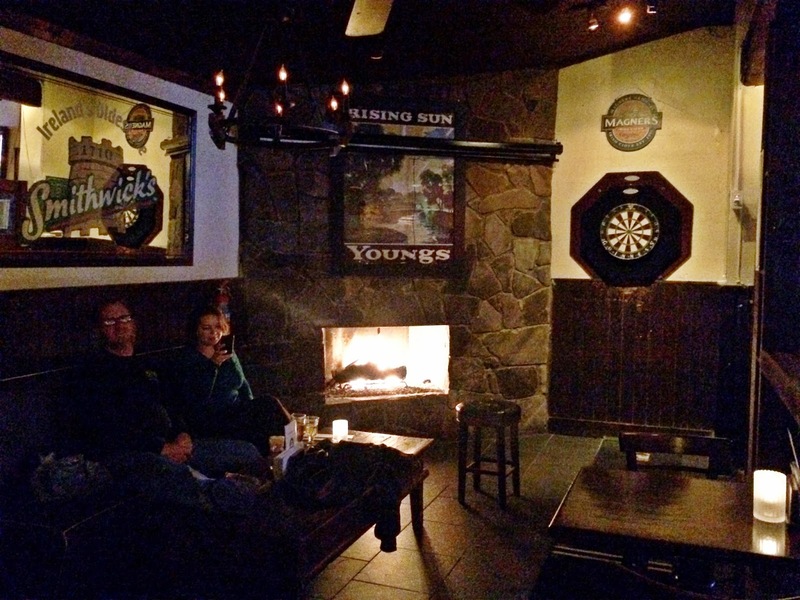 Dubliner's Fireplace. Photo Credit: Dallas Foodie. The back right corner of this Irish pub is very dark and cozy, except for the flickering light of a wood-burning fireplace. It's surrounded by a few seats, dart board, and board games. Bring a date or a few friends for a fun time by the fireplace. Ozona's Indoor Fireplace. Photo Credit: Misty B. After this article posted, a Facebook fan reminded me Ozona has many fireplaces outside on their sprawling, multi-level patio, but we're not sure if any of those patio areas get enclosed in the winter. Then she investigated inside and found they have a wood-burning fireplace indoors with two tables around it, so you can definitely stay nice and toasty at Ozona. Three Sheets' Fireplace. Photo Credit: Scott L.
The interior has a dimly-lit pub feel with a front room set up like a living room, complete with a wood-burning fireplace, old books, classic furniture (that has been worn down to curbside trash-find quality), and a big screen TV. SMOKE's Fireplace. Photo Credit: SMOKE Facebook Page. The front dining room has a gas-burning fireplace surrounded by two wingback chairs and a few tables. You can't really feel the heat from the tables, but it is a nice ambience to sit nearby. The party planning and service at this place was impeccable. The salad I had for dinner was delicious as well as the scallop appetizer. The main course of filet mignon and dessert soufflé was also awesome!